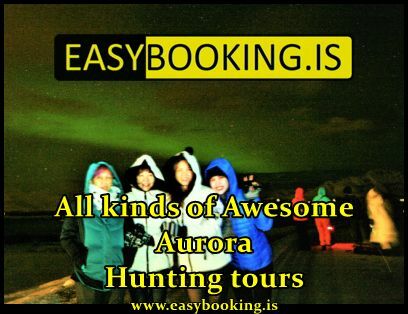 We go on a tour starting at the beach next to the small fishing town Þorlákshöfn. 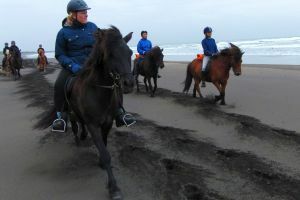 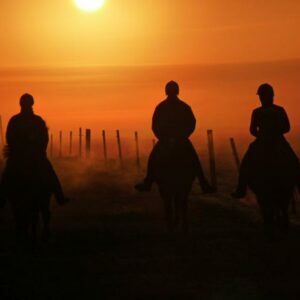 We follow the beach, riding on soft black lava sand to the picturesque area where the mighty river Ölfusá meets the sea. 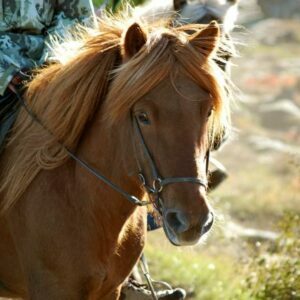 We continue our tour through shallow water at the edge of the river delta and ride on the soft, green river banks back to our farm Vellir. 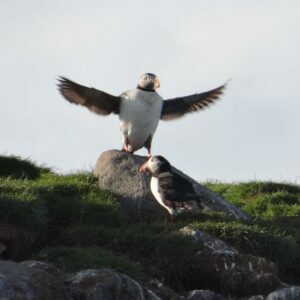 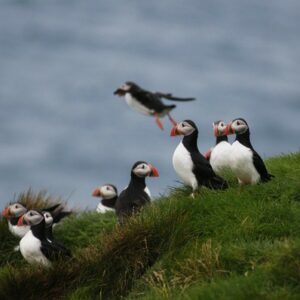 On our way we enjoy spectacular views, weather permitting, and have good chances to see birds of various kinds. 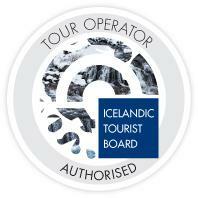 The tour can also start at our farm and end at Thorlákshöfn, depending on tides.